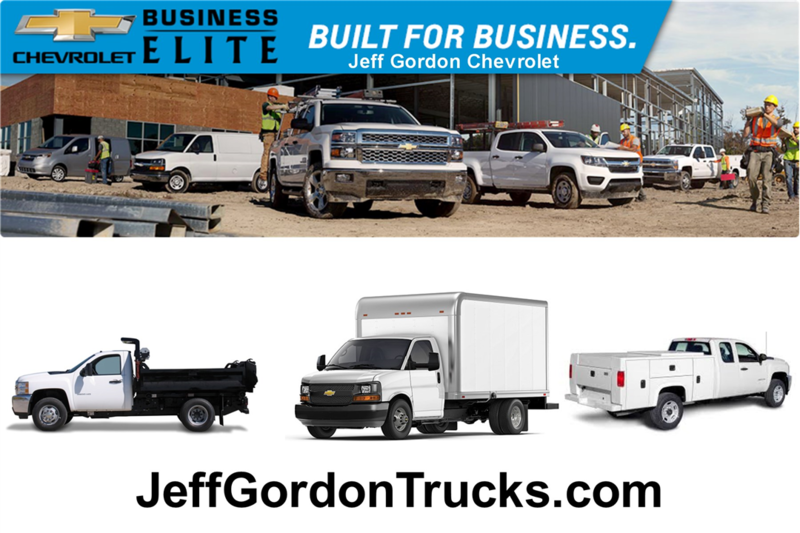 NASCAR Champion Jeff Gordon's dealership is the exclusive Chevrolet Business Elite dealer in Wilmington, North Carolina. Shop over 1,500 Fleet, Commercial and Work Trucks from industry professionals like Knapheide, Rugby, Dejana, Reading, Morgan, Stahl and Supreme. National Association of Home Builders Private Offer - Members of the National Association of Home Builders (NAHB) can now enjoy a private offer of up to $500 toward the retail delivery or up to $1,000 toward the fleet delivery3 of most new Chevrolet vehicles. Association members can get an even better deal with Business Choice Offers. Associated Builders and Contractors, Inc. Private Offer - Members of Associated Builders and Contractors, Inc. can now enjoy a private offer of up to $500 toward the retail delivery or up to $1,000 toward the fleet delivery of most new Chevrolet vehicles. Association members can get an even better deal with Business Choice Offers. Associated General Contractors of America Private Offer - As an automotive manufacturer for the Associated General Contractors of America (AGC), we’re extending this private offer of up to $500 toward the retail delivery or up to $1,000 toward the fleet delivery of most new Chevrolet vehicles. Association members can get an even better deal with Business Choice Offers.